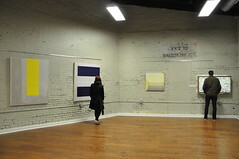 The Cedar Works contains 19 open-ceiling studio spaces and 3 private offices available for artists, professional offices, and other creative uses. Current uses include photography, painting, pottery, textiles, jewelry-making, drawing, and print-making, as well as various office and hobby uses. 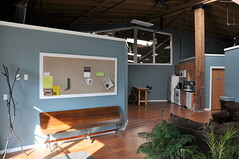 Studio spaces are located in the main area of the building and do not have ceilings. 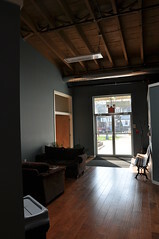 Offices are located off the entrance/lobby and have full ceilings and air-conditioning.